2 Way Tote Bag : Three Shoulder Straps for Adjustable Wearing Style with Lining. 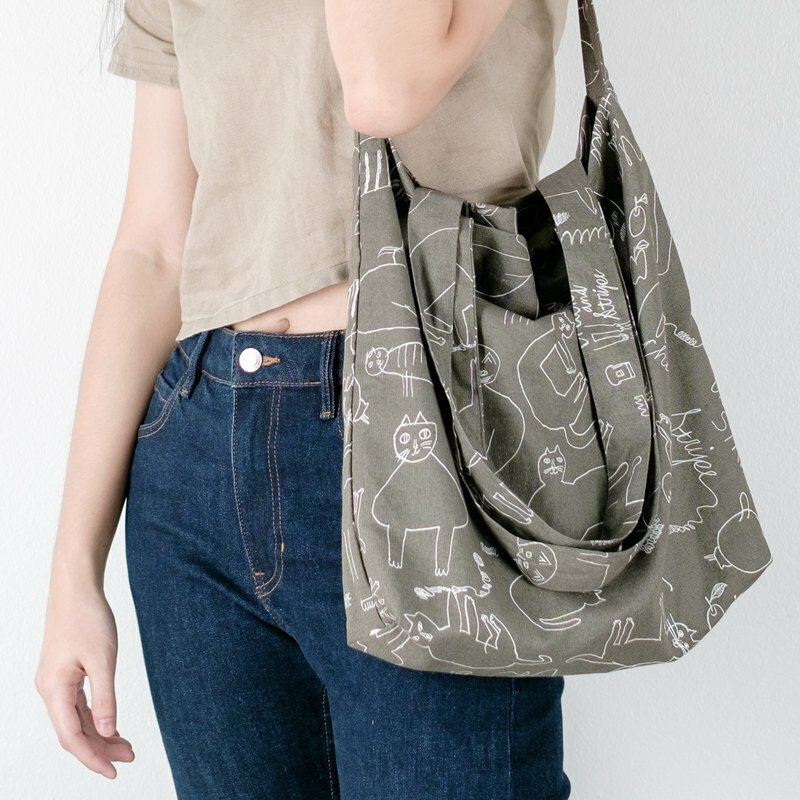 **2 Way Tote Bag** : Three Shoulder Straps for Adjustable Wearing Style with Lining and Inside Bag for Keeping Stuff Separately. Stable form with Inner Stitch at Bag Flap and Crossed Embroider for Strong Sash. ===================== **+++ SPECIFICATION +++** ===================== ☆ Material: Linen Fabric. ☆ Color: Grey. ☆ Size: 16"x15"x3" ☆ Sling Strap Length: 38" ☆ Straps Length: 24" ☆ Lining & Inner Pocket : 7"x7" ☆ Capacity: A4 Files, Book, Mac Book 13" ====================== **+++ MORE PRODUCT +++** ====================== https://pinkoi.com/waraleesday Homemade & Handmade Bag. Limited Stock! Grab it before it's gone! ================= **+++ SHIPPING +++** ================= We shipping world wide by Thailand Post (Registered Airmail). It takes about 7-14 days from Thailand to Taiwan, Hong Kong, Singapore, Japan, Malaysia (ASIA) ^^ *** Please allow for some variation in color as displayed on different devices and screens. Actual colors may vary. *** Photos are for illustrative purposes only. The actual product may vary. *** This product is only available while the stock lasts.